As I’ve written about before, Thanksgiving is my favorite holiday. It conjures up images of family and those special “once a year” dishes. A big tradition in my family is my grandfather’s stuffing recipe. I never got to make this along side him, and I only started making it on my own years after he had passed away. 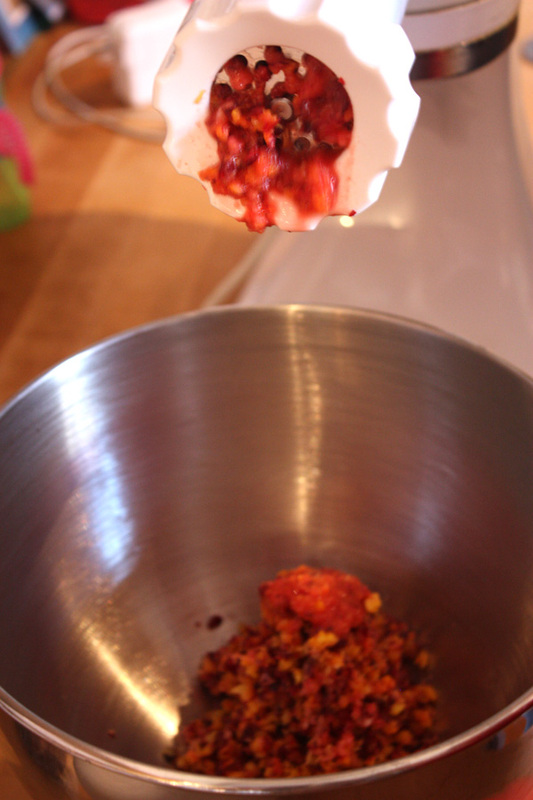 That is one of the reasons why this recipe for cranberry orange relish really hits home with me. Cranberry orange relish a simple recipe that Mrs. Notafoodie’s family has used for years. When asked where it came from, my wife replied “probably an Ocean Spray cookbook from the 1950’s”. It’s simple and delicious, but more importantly, it’s become a tradition. Growing up, it was the job of my wife and her father to make the relish. Over the past couple of years that duty has fallen upon my son and his grandpa. So, if a 3 year old can make it, then so can you. We brought this to our son’s pre-school Thanksgiving meal, and it was the only dish that did not have any leftovers. Parents were seeking us out to get the recipe. It’s simple and easy and delicious. 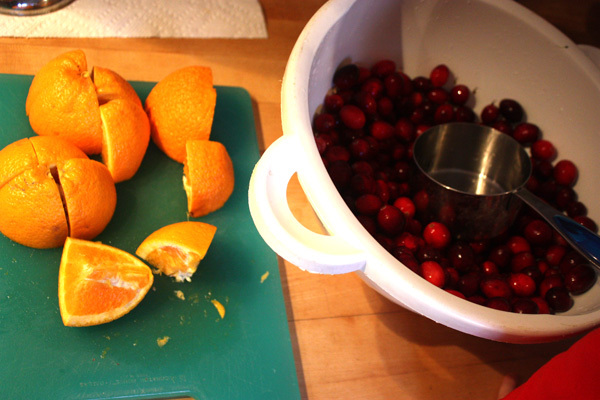 Cut the orange in to 8 pieces, combine orange and cranberries (peel and all) in your preferred implement of destruction (we use a meat grinder, but you could also use a food processor), Grind or process until you get a relish like consistency. Add as much sugar as your sweet tooth deems necessary Let sit for a few days because the longer this concoction marinates, the better. Spoon on to your turkey and gobble gobble.